Carli has been torchworking for over 10 years. She sells her glass and jewelry professionally and has regular students weekly in her studio. 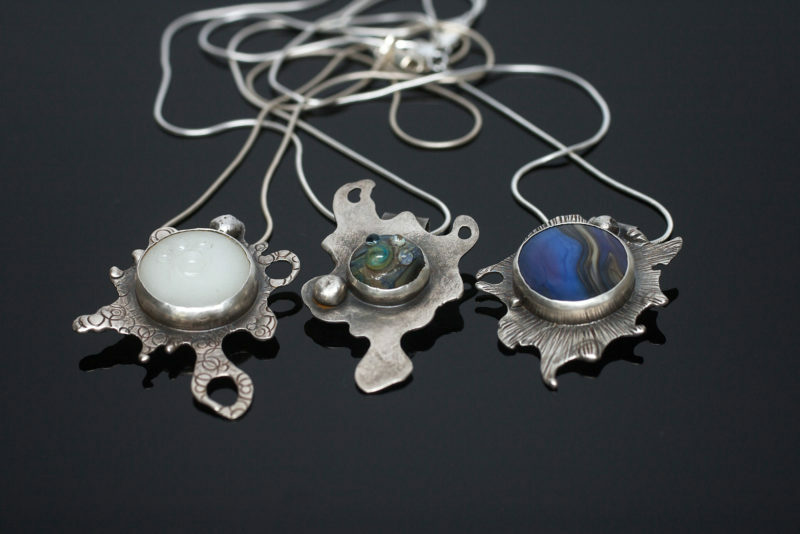 she participates every year at the Gathering of the Guilds in Portland, Oregon, has taught Bullseye Glass and participates in Portland Open Studios, with lots of hours demoing her work and answering questions during the two weekends of that show. You can find her classes also available at Aquila Glass School in Portland, Oregon.